On Saturday, August 24, we had a scheduled induction. Our baby boy was seven days late and we were ready to meet him! 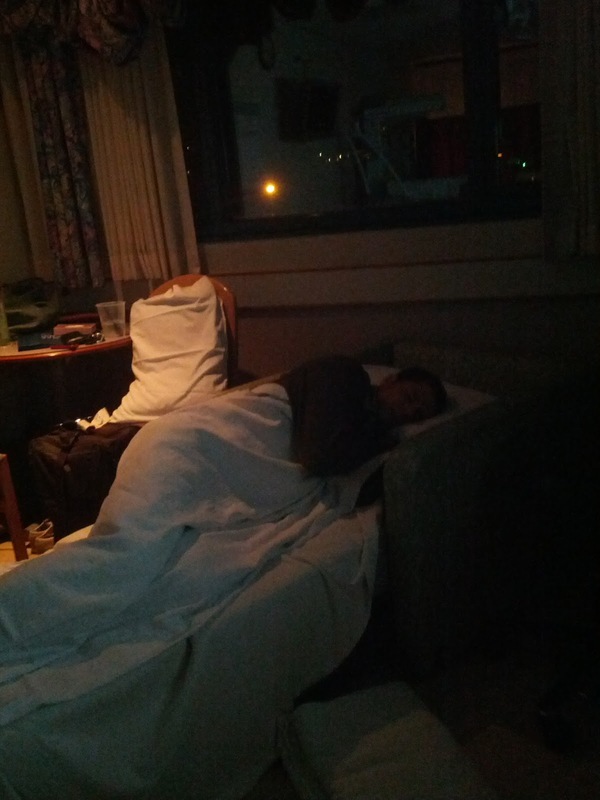 We checked into the hospital and I got into bed. 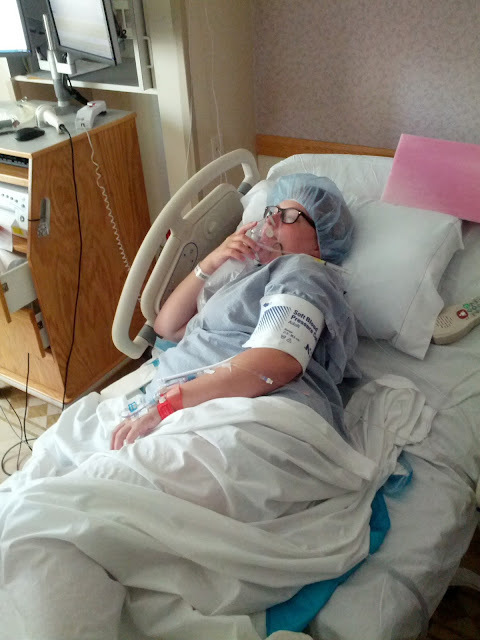 I was there about 3 hours before they started giving me pitocin, but I started having contractions as soon as I was in bed. I probably would have gone into labor that night if I hadn't been induced. So so swollen in the face, but not that big in the belly! My parents and brother came to visit a couple hours after I had been getting the pitocin, so they saw me in some pretty intense pain. 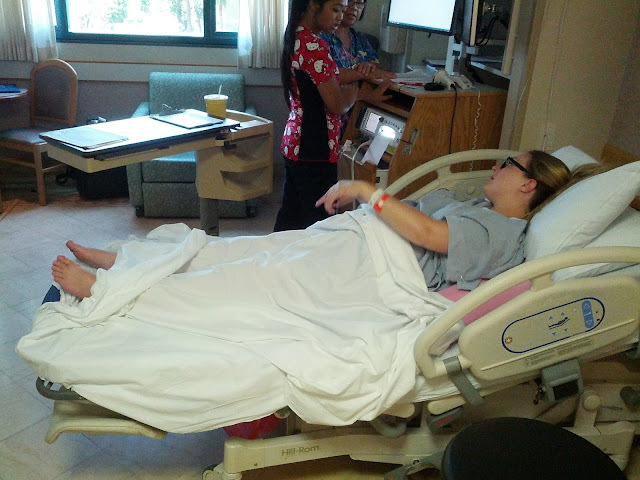 I was still able to talk through my contractions and walk and sway with them (which helped with the pain), but I requested the epidural before things got too hairy. 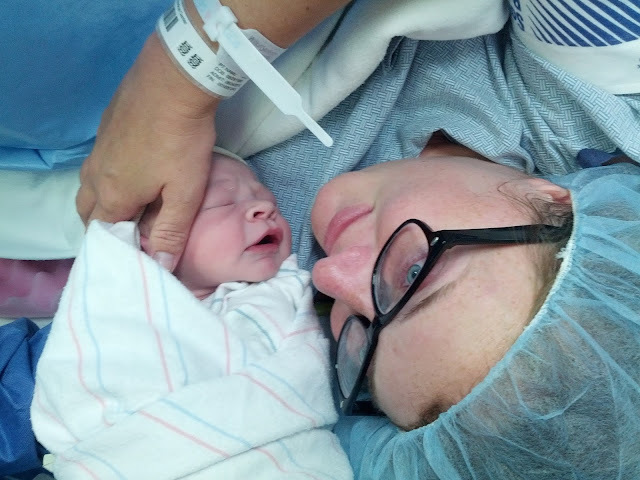 I was extremely nervous about getting the epidural, especially in hard labor, so I wanted to get it as soon as the pain was too much so that I wouldn't have to get it re-done from moving or having a contraction during it. The anesthesiologist was great - probably the best medical professional we dealt with. While he was giving me the epidural, I was squeeeeezing Conrad's hand so hard (from fear, not pain) that his wedding ring created a tourniquet around his finger and cut off circulation for a minute. 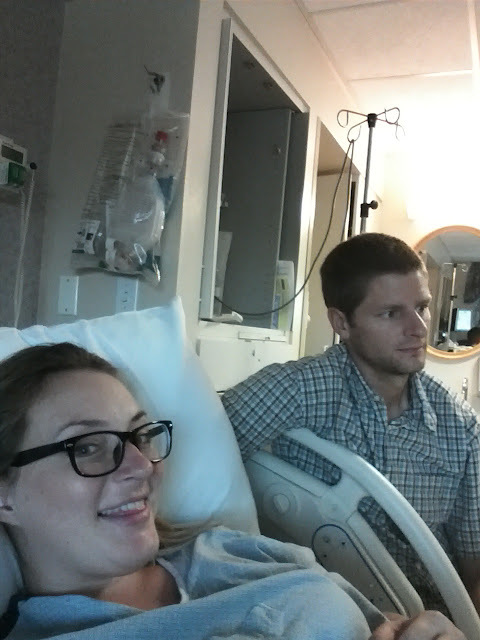 Once the epidural was finished, they laid me down and the contraction pain was gone even though I could still feel some pressure. 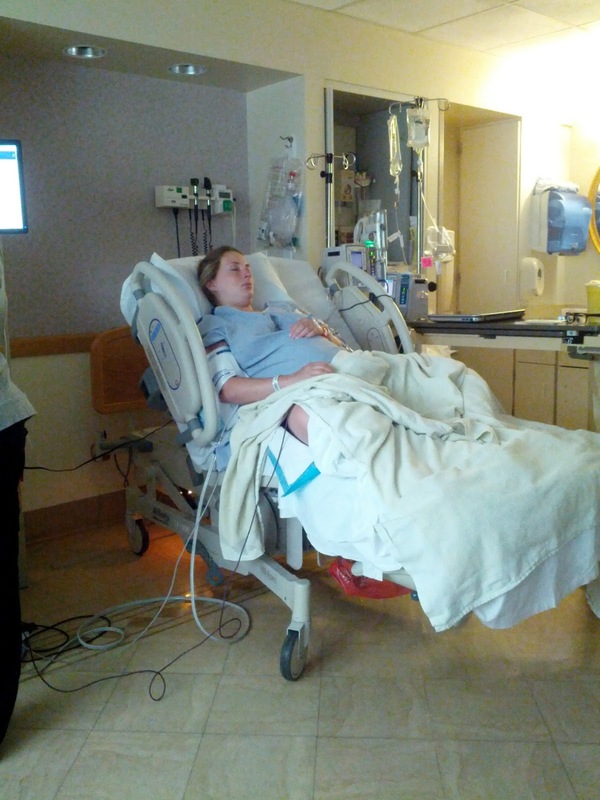 The longer I had the epidural, the less I could feel. 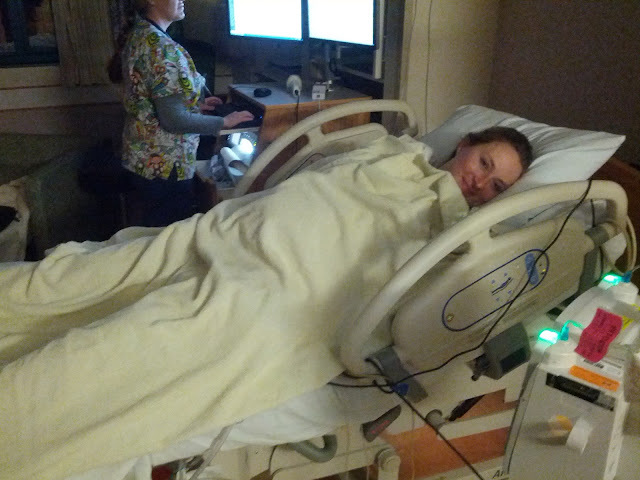 The nurses and doctors checked my cervix every few hours, each time telling me I was more and more dilated and effaced. And "Oh, there's the baby's head!" and "Oh, it doesn't feel like he has much hair!" Needless to say, I was beyond excited. 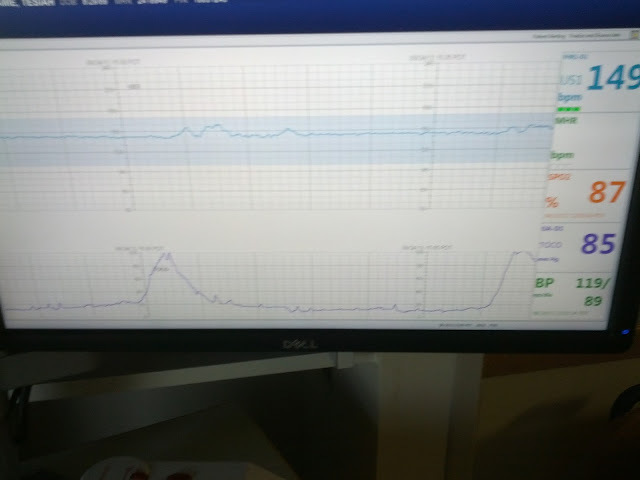 At some point in the night, a few hours after I got the epidural, the nurses had noticed that the baby was becoming slightly stressed from the hard contractions, so they lowered, and eventually stopped pitocin. 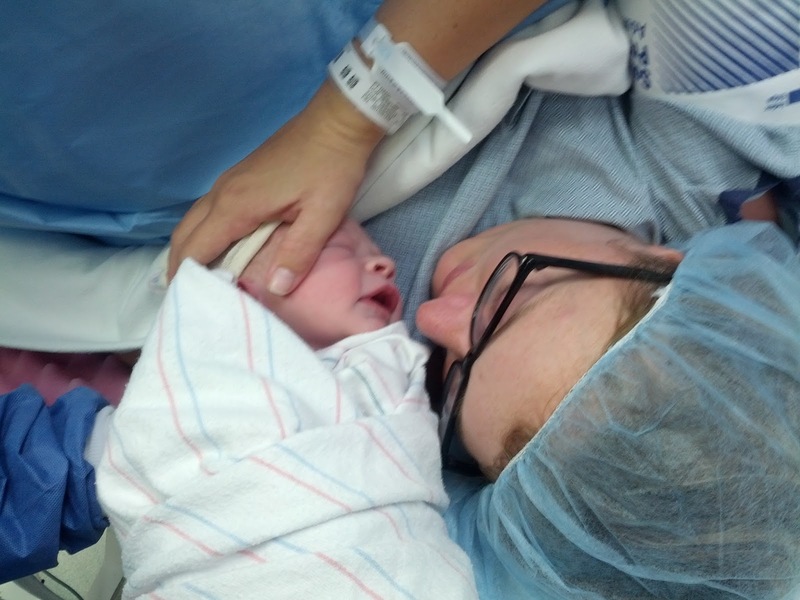 I was worried that labor wouldn't progress, but my body took over from there and I kept dilating and contracting. 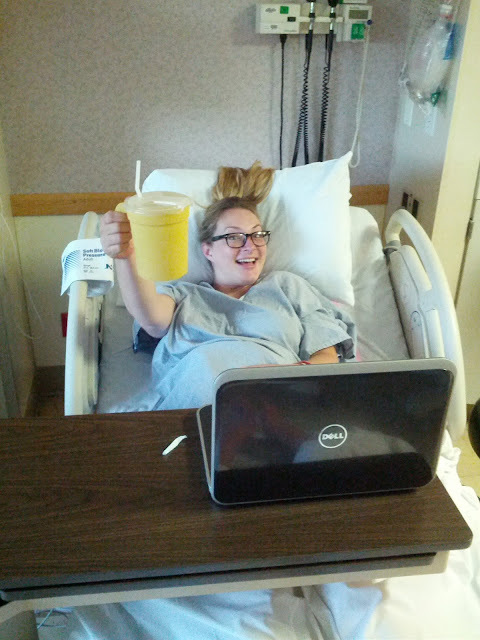 So full of IV fluids! 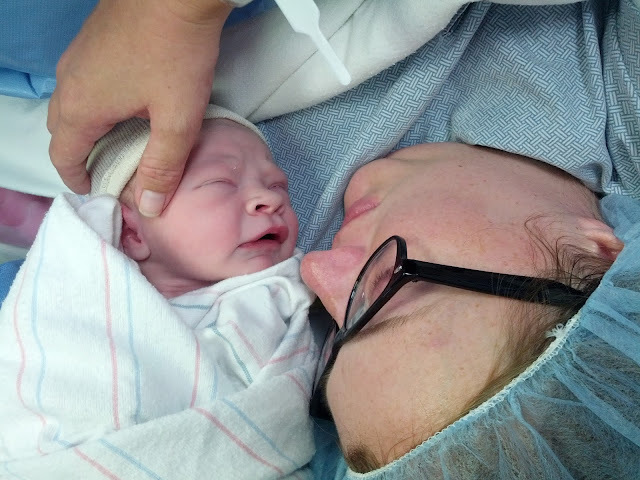 By morning, I was exhausted after not having slept, and I had been at an 8-9 for almost 10 hours, and the crown of the baby's head was plugging the cervix and entering the birth canal. My cervix just didn't want to finish opening, and the doctor told me my pelvis is too narrow to deliver him (ha! I've never been the girl with narrow hips, so this was kind of funny to me). 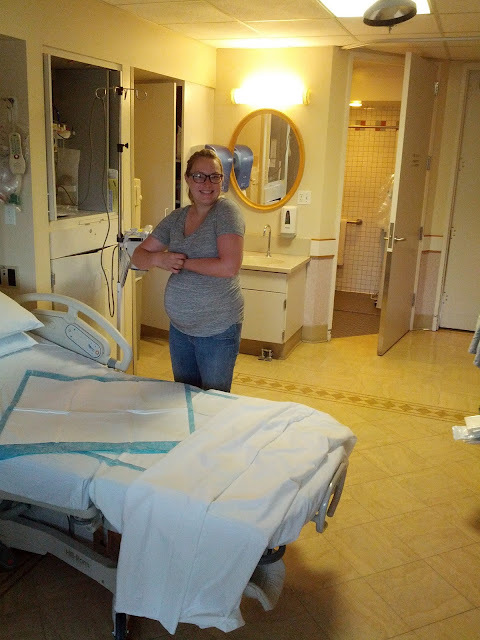 Despite having the epidural, with each contraction, I could feel an incredible amount of pressure from the baby being so low and putting so much weight on my cervix. It started to feel painful and I started to swell. 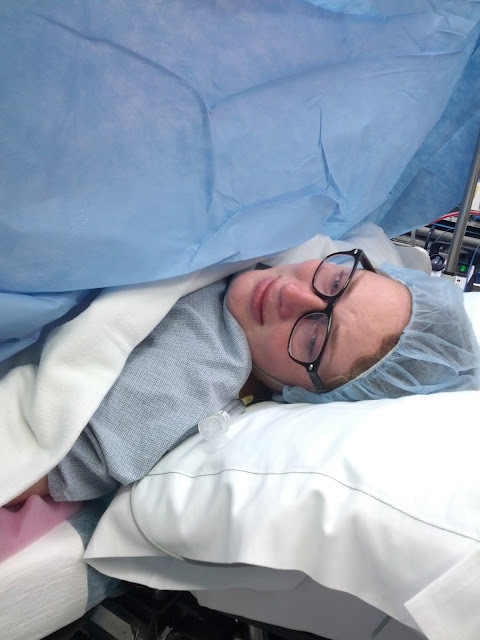 The doctor came in and told me we'd give it another hour or two to see if I dilated, but we'd need to prepare ourselves for the possibility of a Cesarean section. I got really scared. No sleep plus an unexpected twist equaled a meltdown. I cried to Conrad, and my family, who was staying at our house, came back to the hospital. 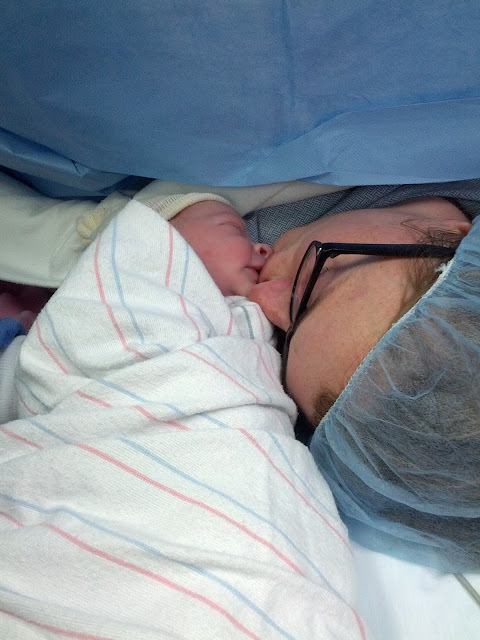 Them being there really cheered me up, and my mom, who had two c-sections, made me feel much calmer about it. 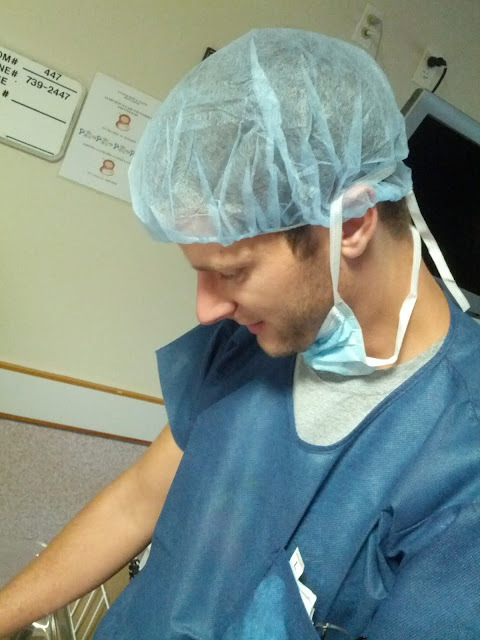 After a couple hours, I hadn't dilated any more so the doctors prepared for surgery. Everything after this point happened so fast, and I was so heavily medicated that I don't remember everything. Conrad was given scrubs to wear. The nurses came in and transferred me to a gernie, then wheeled me into the operating room without Conrad. All my fear came back. I sobbed as they lifted me from the gernie to the operating table. 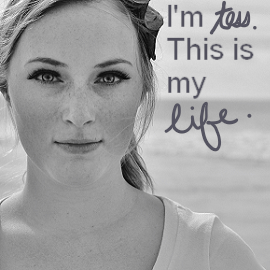 I was so afraid that I'd feel pain, or that I'd see my own guts, or that I'd die or my baby would die. One of the doctors had to coach me and keep me calm because I was nearly hyperventilating, and they needed me to stay still so they could operate. The curtain went up, the morphine went in, and they began. I felt everything. No pain, no sensation of sharpness, but I could feel all the tugging and jerking (there was much more movement than I expected). My arms were strapped down, which was part of why it was so scary. 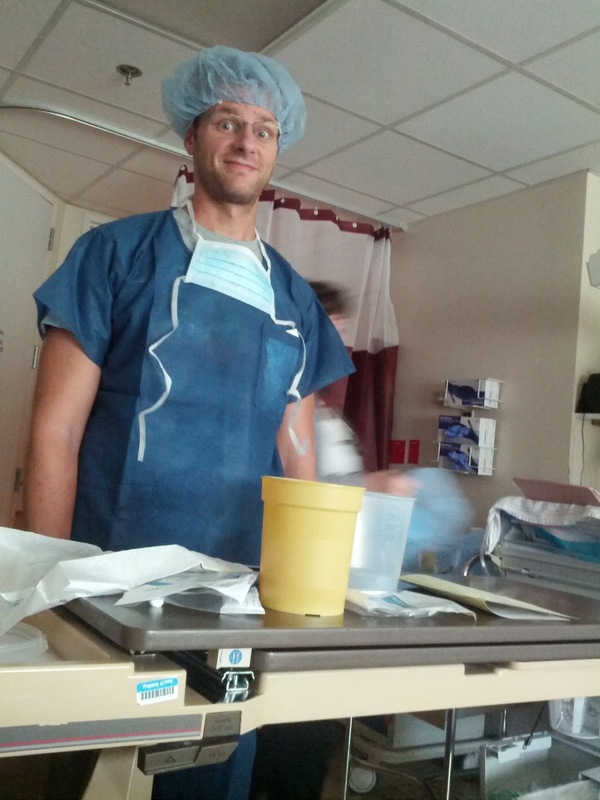 Conrad entered the operating room some time after they had started, and he sat down by my head and talked to me. The doctors were talking to me as they went, saying "almost there, you're doing great" and the like, and all the while I was taking deliberate, long breaths trying to keep my crying under control. Finally, they said, "He's out! He's trying to cry." They lifted him up so we could see, and Conrad saw him first and just said, "oh my gosh oh my gosh." The curtain was too high for me to see him and all I saw was a glimpse of his head, all covered in blood. I stared at that blue curtain for what felt like ten minutes (but was probably less than ten seconds) waiting to hear my baby's cry. Finally, the tiniest little cry. The tears started flowing. I always wondered if I would cry when I gave birth or if I'd be so caught up that I wouldn't think to cry. Turns out, I'm a crier. I sobbed and sobbed, not out of fear anymore, but out of joy. 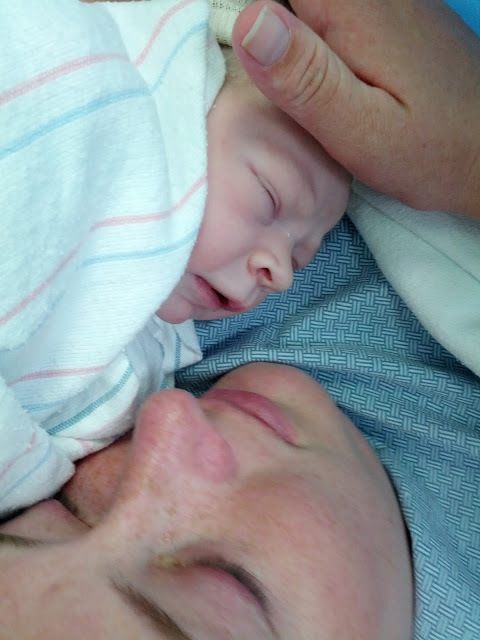 And just like that, we had our baby boy. Hooray for "mommy juice" (so tasty!) and epidurals (a God-send)! I'm so sorry you had to have a c-section (it would have scared the bajeebers outta me too), but I'm so glad you and baby are healthy and well! I never cried when I had my babies, but I'm fighting tears reading this. I can't imagine how scary it would be to switch birth plans so suddenly like that. You handled it well! I almost had to have a c-section with my first because my birth canal was also too narrow. They ended up being able to use forecepts. Congrats! Having a c section is scary and I was totally freaked out when they strapped my arms down too but the end result is worth it. 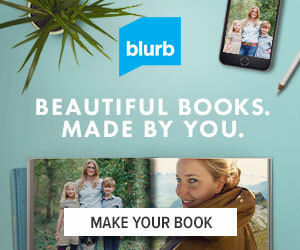 Congratulations and thank you for sharing the beautiful pictures! Your baby boy is beautiful. Ha, mine is just shy of 6 months- and he is a joy. I wish you as much happines with your son as I have with mine. 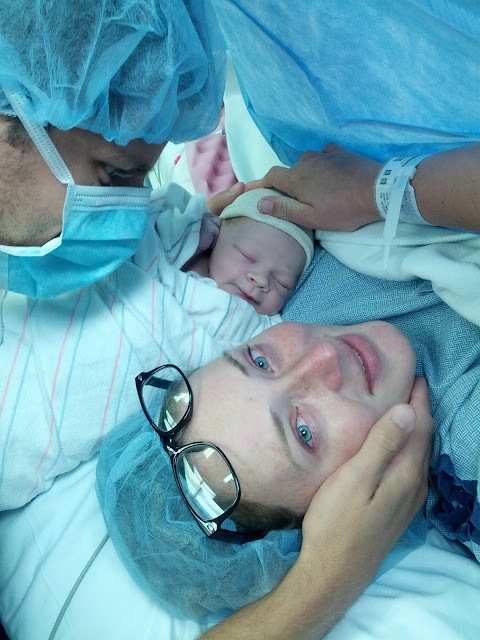 Congratulations on your beautiful baby and for staying strong throughout your pregnancy! What a wonderful experience the whole thing is and I wish you the best of times ahead with your little one. Mine's turning 6 months in a couple of days and he brings an immeasurable amount of joy into our lives. Enjoy every second! Congrats! Sounds like it was a bit scary for you (I've never had to have a c-section, so I would probably be scared too). All worth it though, right? He is a handsome little man! I didn't nap once I had my epidural either... nerves and excitement and anticipation :) I LOVED reading this! 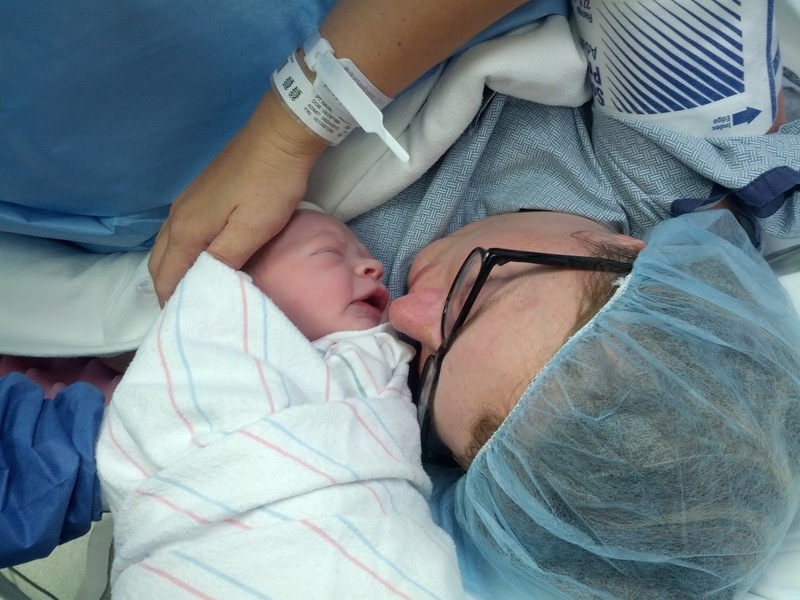 I'm so glad everything turned out good with your little man and the c section! And I've loved seeing all the pictures on FB and Insta! Aww, congrats! 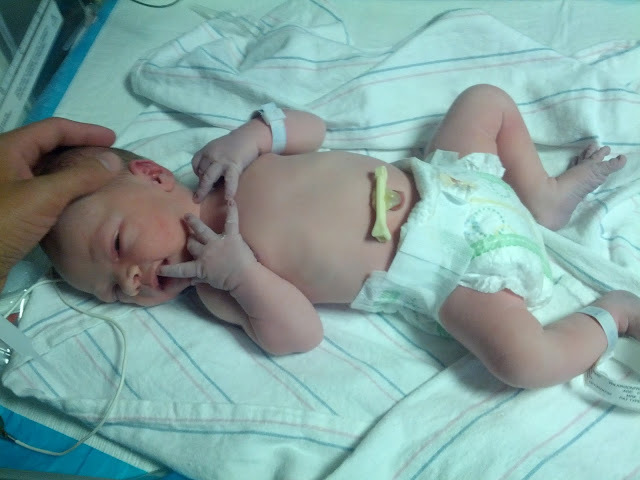 Yay for baby! He is precious!! I am 24 weeks pregnant tomorrow and the fears/worries of delivery are starting to come to me. Ah! The grey shirt is actually from H & M. They have good maternity staples! And I know it's the most annoying advice ever, but try not to fret too much about birth. Looking back once it's all over, it's really not that difficult (if you get the epidural), recovery is relatively quick, and being afraid will only make everything more stressful. Enjoy being pregnant! I sure did. He is perfect! Congratulations!!! I am sad that people were so judgey about you letting him cry, sad :( He will be just fine and there are many ways to parent, I can already tell you are doing an amazing job! Keep it up mama, he is gorgeous! !